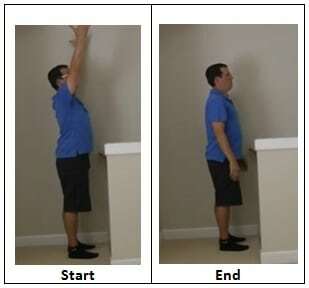 HomeFitnessHow to Decrease the Pressure in Your Back After Sitting? 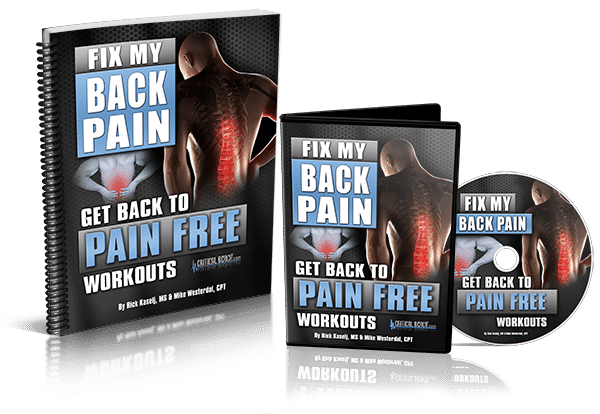 I wanted to go through a video for you on How to decrease the pressure in your back? What Increases the Pressure in Your Lower Back? After we wake up and we get moving and doing our things, work, and living, etc, the pressure ends up increasing in our back. As we move from lying, to standing, to sitting, being at the computer or at work, we end up having an increase in that pressure in the spine. 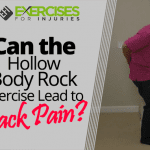 What Can Decrease the Pressure in Your Lower Back? Now a lot of people end up benefiting from that pressure being relieved. One way of doing that ends up being traction, the light pulling in the low back in order to decrease that pressure in the back. 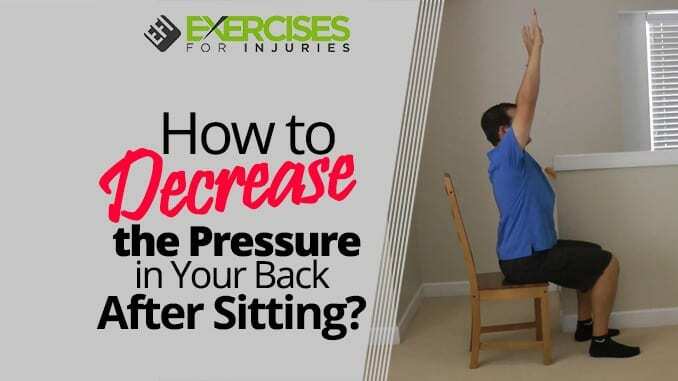 How to Decrease the Pressure in Your Lower Back? You could go to a therapist and the therapist can pull on your legs or on your upper body in order to decrease that pressure in the back. You could go to that therapist again and they hook you up to a machine and that machine lightly pulls you in the hips and low back, or they can end up pulling the upper body in order to off-load that pressure in the back. What was popular in the 80’s and it’s kind of coming back when it comes to this rise in Cross Fit are those inversion tables where you strap yourself up to a table and you flip yourself around upside down and then you get traction throughout that low back area. 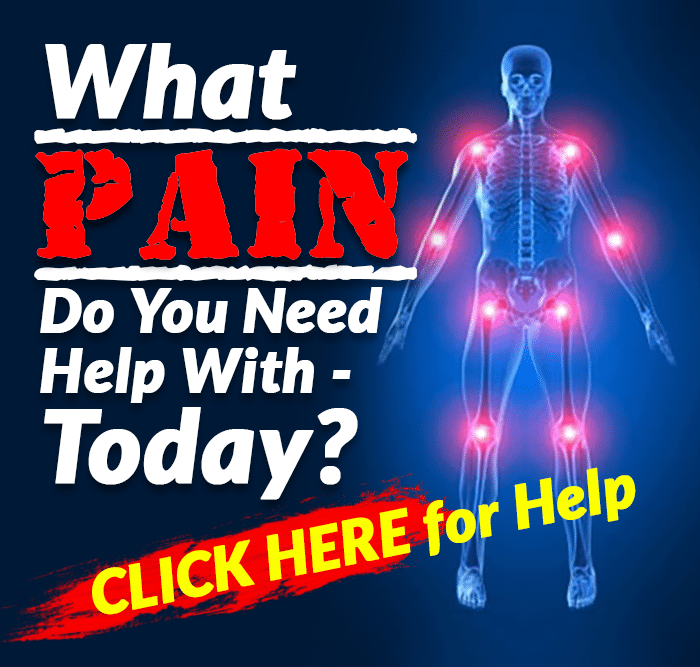 Now if you had that traction and you’ve gotten benefit from that, I am going to go through some things that you can end up doing on your own when it comes to relieving that pressure on the back, especially from sitting for a long period of time. If you had traction and it hasn’t worked for you or it has irritated things, I would recommend not doing these exercises. But I would say from my experience about 80% of people will end up benefiting from some kind of traction in their back. The key thing to remember, and I will go through it when it comes to the exercise, I will give you four progressions when it comes to the exercises. I like starting off light and progressing more, progressing harder, and progressing even more. Going lightly you will see if you will get a benefit from the exercise and have no adverse reaction to the exercise. And then we can progress more and more and get more and more benefit from the exercise. Let’s start off with level 1 and work your way to level 4. And if you get to level 4 and you really like this stuff, then the next step ends up being some self traction, which there are options that you can do in the gym which I will go through in another video or you can do the inversion table. 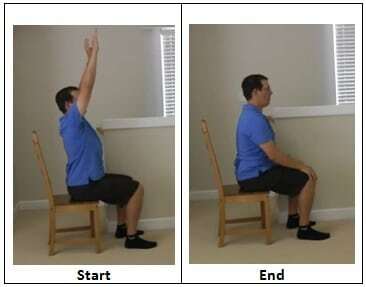 Now let me show you the 4 Progressions that you can do from sitting. If you end up sitting for a long period of time, you can off-load that pressure in the back by simply sitting with good posture. With good posture we end up having 90 degrees on our foot, ankle, knee, hip, upper body and shoulder. What I am going to do is palms forward and I am just going to reach for the sky and relax. I can incorporate breathing, so I take one breath in and reach for the sky. Palms forward breathe in and back down. I am looking at doing 5 repetitions. I am using my upper body muscles in order to relieve that pressure in the low back. So that’s option number one. Moving on to option number two, I am going to step back a little bit more and while standing I am going to have those palms facing forward and I am going to reach up for the sky and relax. I can just start with reaching up for the sky and I can add a breath as well. So breathe in as I reach for the sky and then relax. Do this in 5 repetitions. And then I can see how that ends up feeling, if that ends up feeling better, worse, or the same. What I want to do is end up building on better. For me, my back ends up feeling better when I do that exercise. Now the third one is I am going to change the shoulder position and the hand position. 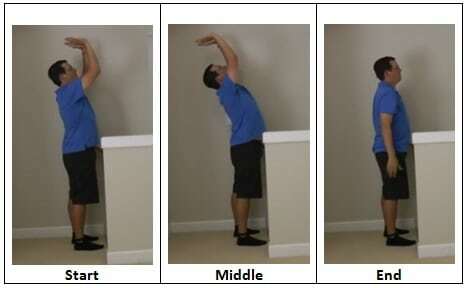 I will have the hands facing forward and I will externally rotate the shoulder. I am opening up the shoulders and then I am externally rotating the shoulders. Now my hands are facing each other but more importantly it’s the shoulders that are opening up. I am reaching with hands forward and shoulders are in a good position. With putting the shoulder in a good position, I bring in more lats or latissimus dorsi which is a huge muscle in that mid-back area. It can end up helping when it comes to that traction in the back. Now you check to see how the back ends up feeling. Does it feel better, worse, or the same? We want to build on better. If it ends up being the same, you can check to see if you have done the exercise correctly. Go back and make sure that you have done the technique right. And if there’s still no change and it’s not getting better, you don’t need to do the exercise. If it ends up making it worse, if there’s more irritation or pain and if it is minor, step back and make sure you have the technique right. If that doesn’t improve the irritation or light pain, then discontinue the exercise. I will bring my hands up like I am raising a roof and pushing it up and back. I am coming up and I am reaching back and I am taking that breath in. And then again roof, reaching back and then breathe in. 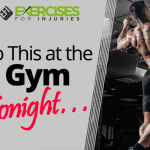 Make 5 repetitions of this exercise. And then see if it’s better, worse, or the same. For me, it ends up feeling better. With each of them it ends up getting better because my body likes that traction and it also ends up liking that arching and with each one it ends up feeling better in my back. Give those exercises a go. Pick the right progression that works for you and what levels work for you. I recommend you go from level 1 and work your way to level 4 and just do 5 repetitions. You can increase to 10 repetitions and you can do these a number of times throughout the day, I would say under five times, so one to five times a day. 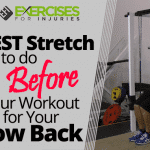 Do not do these 50 times a day because then you kind of pass that threshold of the exercise being beneficial and helpful to being irritating, painful, and causing re-injury. That is it. Soon, I will be releasing a program to help with back pain. It is called Fix My Back Pain. It will be coming out soon. Watch for it.